There’s a curious and inexplicable fact about USB cables: No matter which way you insert a plug into a socket, the plug will appear to be the wrong way up. So, you flip it over and try again and it still won’t fit. So you flip it over one more time and, voila! The plug now fits. The answer is the Micflip from WinnerGear. This cable has a standard, full-sized USB plug on one end and, at the other end of the three-foot long braided nylon cable, a micro USB plug that, wonder of wonders, can be plugged in without even considering whether its the right way up. Oh, and the plug housings are aluminum and the plugs are gold-plated. How much? Ah, there’s the rub: $19.99. 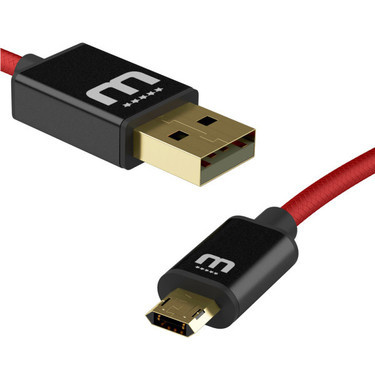 On the other hand, if you’re a road warrior or videographer or anyone who travels to far away places where replacement USB cables are rarer than hen’s teeth, these are definitely for you. While I’m on the topic of cables and travel, I just received a curious device for on-the-go charging: The Titan Loop from the wonderfully weirdly named [Fuse]Chicken. 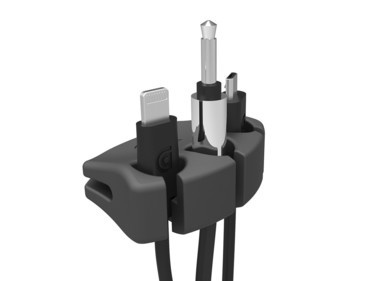 Combining a standard USB connector with a Thunderbolt plug at either end of a 9 inch, steel armored cable the Titan Loop is intended to pretty much indestructible. 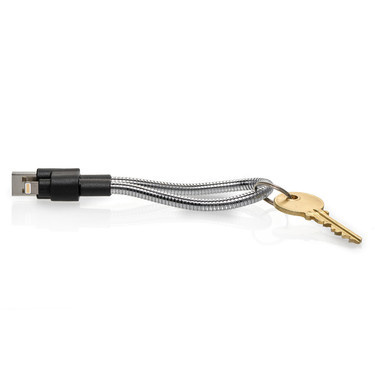 You can slip your key rings onto the cable then lock the loop shut by inserting the Thunderbolt plug into the clip on the side of the USB connector. Again, as with the Micflip, this gadget, at $30, is spend but also darn useful for those people who are out and about. My final cable gadget is from Griffin. If you, like me, have multiple gadgets in your cars then you also have cables lying around so you’re forever trying to reach cables lying on the floor or prying them out from under your passengers’ butts. Griffin’s answer is ridiculously simple: The Hanger, a rubber pad that clips onto a vent fin and has three slots to hold unattached cables out of harms way. At just $4.99; it’s a steal.